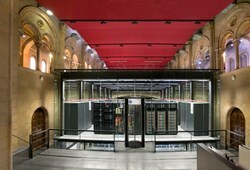 The supercomputer MareNostrum 3, at the Barcelona Supercomputing Center. Plans are underway for MareNostrum 4, which will be 12.4 times more powerful. 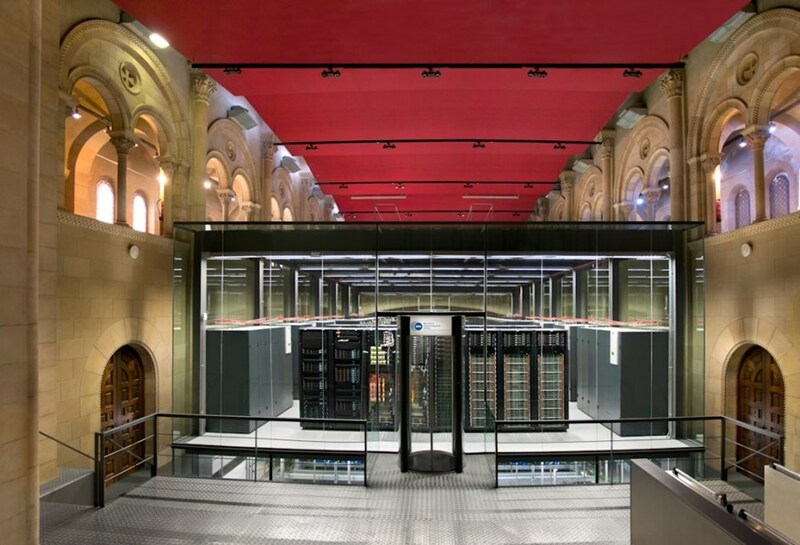 In a Memorandum of Understanding signed on 12 January 2017, the ITER Organization and the Barcelona Supercomputing Center (BSC) in Spain have agreed "to promote cooperation and exchange in all academic and scientific fields of mutual interest and to advance the training of young researchers." ITER and BSC already collaborate in the area of numerical modelling to assess the design of the ITER pellet injector, under development to reduce the effects of plasma disruptions. These computer simulations, based upon non-linear 3D Magnetohydrodynamics (MHD) methods, focus on modelling the injection of pellets to forecast and control instabilities that could damage the reactor. The goal of these simulations is to assess the optimal pellet size and speed of the pellet injector. The new Memorandum of Understanding will allow expansion in the areas of cooperation to include further areas of integrated modelling, particularly in the area of ion cyclotron resonance heating (ICRH), which is one of the strengths of the BSC Fusion Team led by Mervi Mantsinen. ITER's Simon Pinches, from the Confinement & Modelling Section and Responsible Officer for the ITER Integrated Modelling Program, is confident that the cooperation with BSC will be mutually beneficial, providing the means for enhanced simulation capabilities of importance to ITER. "We are pleased to strengthen our collaboration with BSC in the area of integrated modelling. The ability to accurately simulate the influences of the different heating systems in ITER is an important capability for predicting the behaviour and performance of ITER plasmas." See the BSC press release.